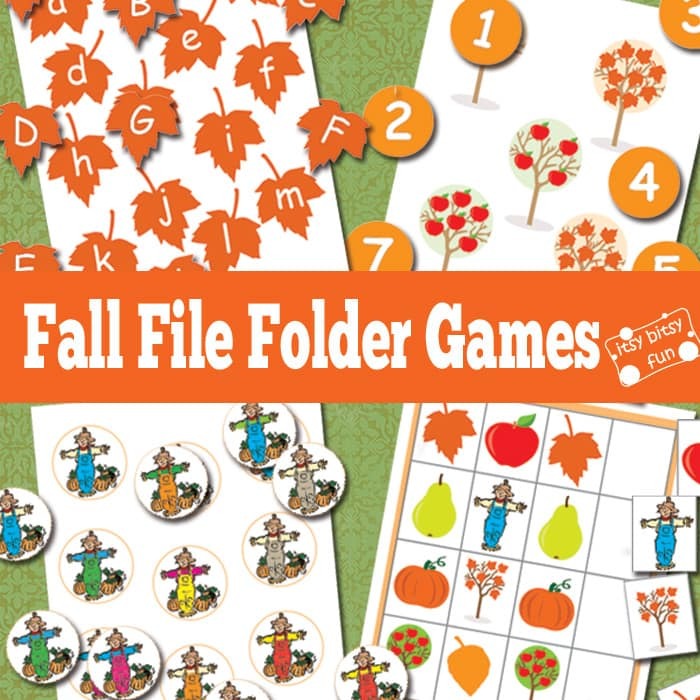 File folder games are great for learning at home or at school – easy to set up and even easier to put away. The thing I love about these the most is you can have literately hundreds of these and they won’t take up much space. I’ve already made these for every other season and fall was last on the list (there are however many other themes available and to be made – I really enjoy making these). Print them all and be sure to laminate them to give them extra life! 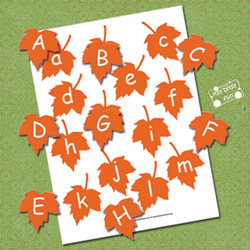 Have the kids practice their upper and lower case letters with this fun game with fall leaves! Print out all pages and leave the ones with lower case letters as they are and cut out the leaves with upper case letters (It will take some time and patience but it’s worth it as these leaves are really cute). Have the kids place the upper case letter leaves on the lower case letter leaves. This one will help with counting from 1 to 10. 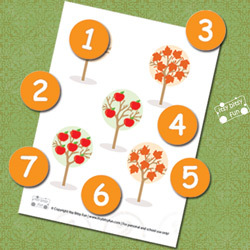 There are 10 trees (5 with leaves and 5 with apples) and each of them has a specific number of leaves or apples the kids have to match with a number. The numbers are in 2″ circles so if you have a round paper punch this should make cutting these easy (if you don’t have it do get it it’s a life saver). 2 pages of fun color matching with most primary colors. 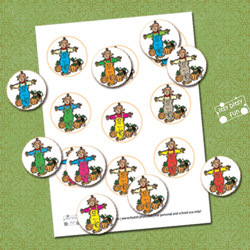 Every scarecrow has two colors to match – the shirt and the trousers. As with the previous file folder game the circles here are 2″ too so if you have a punch this one will be set in a minute. You can make two games from this one as there are 4 pages plus 1 to cut in pieces. Kids have to recognize the pattern and complete the sequence by placing the correct tile in the empty space. 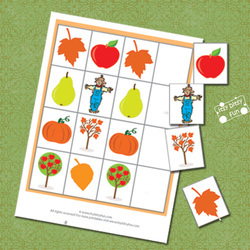 If you enjoyed these you will probably like the simple addition file folder game. If your kids are ready for some higher math then also check this fractions file folder game.